To get you all ready for the Holiday parties lined up this week – We are giving away an awesome product from Mai Couture! We’ve all heard of blotting paper but could paper foundation, highlighter and blusher products be the future of beauty! Mai Couture is a line of chic pigmented papers gives you a natural and flawless complexion without the need of messy unhygienic brushes. Our shades are sheer, natural and buildable to give you a radiant and healthy glow. In addition, they soak up dirt and oil leaving your complexion clean and gorgeous! The Papier Collection consists of foundation, blush, bronzer, highlighter and infused rejuvenating blotting papers. They are ultra lightweight and great for your skin as they are paraben and talc free. These amazing papers offer convenience and security at all times. No more excuses of not having time to apply your makeup! Every woman should have this in her handbag. No more MESS or STRESS! As consumers seek to cut costs without sacrificing quality in the current economy, one area that seems ripe for adjustment is the razor aisle. Mainstream brands currently charge outrageous amounts for razor blades— simply because, until now, there hasn’t been a quality alternative. Holding a monopoly-like control over a lion’s share of the over $4 billion market, the major razor manufacturers systematically create impenetrable barriers to entry for challenger brands at retail. The alternative is even more daunting. While the 5-for-a-dollar pack of twin-blade disposables can be tempting at checkout, the cuts and razor burn associated with the bargain-basement blades can also make anyone think twice. Enter no-frills brand 800razors.com, which is seeking to introduce a novel yet simple concept: eliminate the middleman retailer in order to offer top-of-the-line quality razor blade systems and cartridges at half the price. The newly launched 800razors.com site is now offering 12 cartridges of a 5-blade men’s or women’s razor for $25.95 (compared to approximately $44.99 for Fusion 8-cartridge replacements). The American-made 800razors.com 5-Blade Razor (available in both women’s and men’s variety), evenly distributes pressure for a more comfortable and less irritating shave with enhanced pivoting for hard to reach areas. A lubricating moisture ribbon reduces skin irritation with Vitamin E and Aloe. The thin blades are made from the finest steel and are ceramic-coated to resist rust and stay sharper longer. The online retailer additionally offers a 3-Blade option for men. LOUIS, (Oct. 28, 2014) – Nestlé Purina announced today a personalized approach to dog food with the recent launch of Just Right by Purina. This approach combines a dog owner’s first-hand knowledge of their pet with Purina’s proven nutritional expertise to create a personalized feeding experience for individual dogs. This marks the first time a major pet food manufacturer is producing a personalized dog food in the United States. Just Right by Purina is available exclusively at JustRightPetFood.com. Purina’s research found that nearly 70 percent of dog owners want a food to help support their dog’s unique needs and preferences. Combined with recent advances in technology that allow for greater personalization when purchasing consumer goods, Purina believes dog owners are ready for Just Right by Purina. At JustRightPetFood.com, dog owners start by answering specific questions about their dog, including age, activity level, breed and body condition. Also taken into account are a dog’s nutritional needs such as weight management, and supporting a dog’s skin and coat health. During the process, pet owners can select chicken, lamb or salmon as the first ingredient for their dog’s food, as well as whether or not grains and soy should be included in the food. The team of Just Right experts is available 24 hours a day via online chat, email and phone to help guide individuals through the process. Based on the information collected and a proprietary algorithm generated by Purina experts and nutritionists, owners will receive a recommendation for a high-quality, highly nutritious formula personalized to help support their dog’s health. All Just Right by Purina formulas meet or exceed the Association of American Feed Control Officials (AAFCO) complete and balanced standards. Furthermore, owners have the option of personalizing the packaging by including a photo of their dog and adding his or her name on the bag. In addition, the package will include feeding instructions tailored specifically for each dog. A Just Right blend for cats is being considered for the future. For more information, please visit: www.justrightpetfood.com. A delicious calorie free present for the holidays. Did you know Ladurée has two shops in NYC now? Ever since then, the preparation has stayed the same. Each season Ladurée celebrates this little round cake that’s crispy outside and soft inside, a perfect balance of aromas and textures, by creating new flavors. Each year the palette of flavors and colors grows, from the classic chocolate or raspberry to festive macarons, exotic flavours for certain destinations, fashion designers, perfumes etc. At the end of the book there is a practical, step-by-step section to show exactly how Ladurée’s chefs make the cookies and the ganache fillings so you can be sure to succeed in making them too. 80 Macarons: flavour by flavour, a trend book, inspirations and recipes for each; 1. Classic macarons (vanilla, café, chocolate, lemon etc); 2. Nomad macarons (created for specific destinations); 3. Festive macarons (Christmas, Easter etc); 4. Precious macarons (gold, silver, copper etc); 5. Incredible macarons (violet, lemon-lime etc); 6. Designer’s macarons (berry for Christian Lacroix, fig-date for Christian Louboutin, rose-ginger for John Galliano, bubble-gum for Alber Elbaz etc); Step-by-step photographs and instructions for making the biscuits and ganache fillings at home. 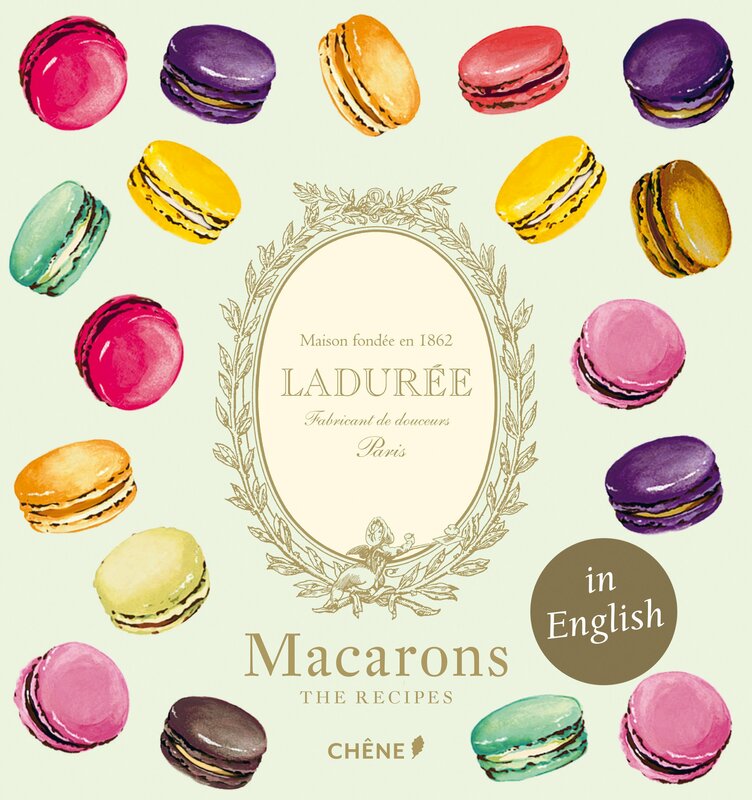 Preorder the new Ladurée Macarons and Ladurée Chocolate book on Amazon! 1) Make Sure You are Really Ready: Adopting a pet is not a decision that should be taken lightly. It’s important to realize that adoption is a commitment to taking care of the dog you choose for their entire life – through sickness and health, chewed shoes and “accidents” on the carpet. Only after you’ve decided that you can commit to being a lifelong (for the pets lifespan) pet parent, then you should continue on your quest to find the perfect furry mate. 2) Stay Open-minded: Make sure that the type of dog you think you want and the type of dog you really need are the same. Many people think adopting a puppy is ideal, however adopting a puppy can be a lot more work than adopting an older pet. Stay open-minded about which breeds will make an ideal companion and take into consideration other traits such as temperament, energy level, and health. If allergies are a concern in your family, you should also consider adopting a dog that does not shed or a dog with shorter hair. 3) Do Your Research: Petfinder is a great place to start your search for a new pet—I recommend starting with a local search so you can visit the shelter in person to communicate with the shelter staff/volunteers about what you really want in a pet. Take several of your favorite dogs for a walk and see how they behave outside the cage, providing them crucial time to normalize so you can get a better idea of their personality beyond the initial “I’m so excited to be outside my cage!” moment. 4) Consider Fostering First: If you’re not sure what type of dog you’re looking for, fostering is a great option. Not only does fostering pets save lives it’s also a great way to get to know a pet over a longer period of time than you would if you just visited the shelter. Many foster pets become “foster failures” after being adopted by the families who were originally only planning to provide them a temporary home. 5) Meet the Family: Before you adopt, make sure all the stakeholders in your life meet the pet you’re interested in making a permanent part of your family. This includes any other animals in your family such as dogs or cats who will be living with this new addition. Understand that there will be an adjustment period when the dog first moves in. After this, it’s time to make the adoption official and be on your way to a happy life with your new furry family member. A really cool APP that is for fashionistas worldwide! Tai recently worked on a project with a really cool Kickstarter program and I can see myself using this app. I love finding new trendy items and people always ask me where I get my stuff. From the subway to events to just on the street. I would love to ability to easily refer people to where I find these unique fashion items. Cosign needs your support so whether you can donate money, or just share on social media, every little bit counts! The COSIGN app brings discovery and commerce together – turning photos into interactive, shoppable pictures. The first social media tool that allows members to share and profit from their recommendations. Now, the where did you get that? question is answered seamlessly. As your photos spread across the web, the ‘what is that and where can I buy it’ information travels with them. The COSIGN app fixes the missing link of paying for what is undisputedly the most credible and effective form of marketing: word of mouth. It is also the ideal way to get paid for something you already do: influencing your social network. You can learn more about COSIGN here. Support us by spreading the word like Huffington Post. About COSIGN: COSIGN is the first mobile app of its kind that allows users to “tag” items within content they upload to social networking sites. If their followers purchase the items, they receive a monetary reward. COSIGN transforms images and videos into interactive and viral storefronts by tagging additional information such as location and cost of products and brands. For more information, visit cosign.co.